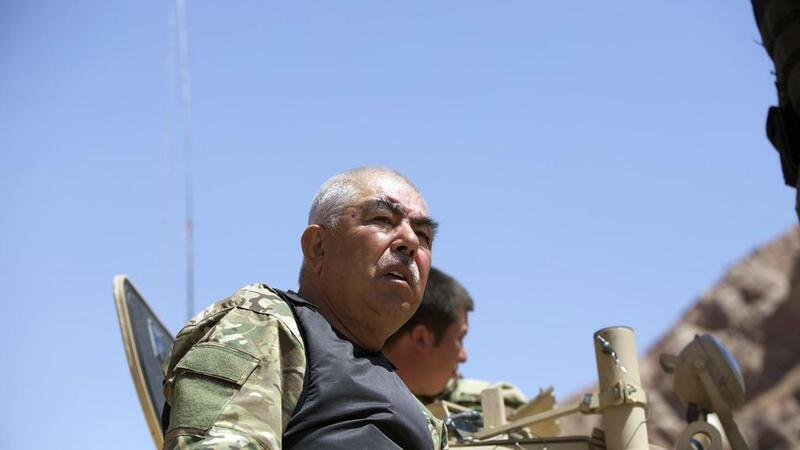 The controversial former warlord will be officially welcomed back to Kabul, Yunus Tugra, an adviser to Gen Dostum said. “Everything is set up for his arrival. He is coming tomorrow with an official ceremony at airport and another special event at his office in the Sadarat Palace,” which hosts the vice president’s office. Gen Dostum will then resume his post in government, a spokesman to President Ashraf Ghani said on Saturday. “He will continue in his role as the first vice president to the Afghan President after his arrival to Kabul,” Haroon Chakhansuri confirmed in a statement. Mr Tugra credited the protests with facilitating Gen Dostum’s return. “This was possible with people’s sacrifices and hard work with 20 days of demonstrations,” he said.